polish insomniac: Sara or Sarah? 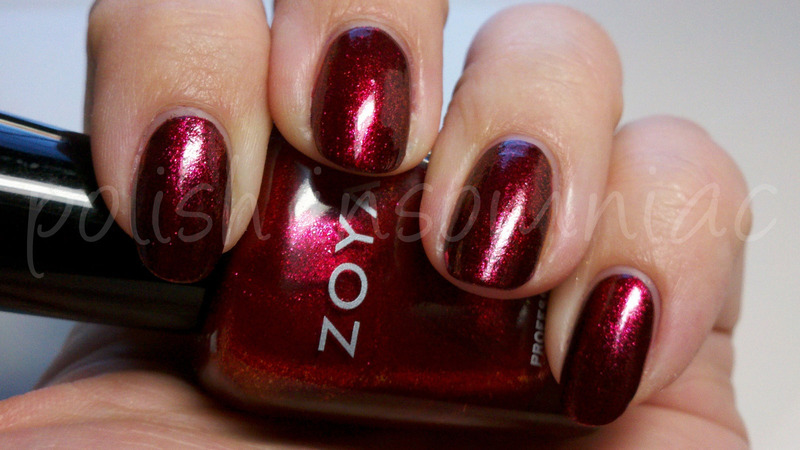 Zoya is notorious for spelling errors. On my bottle it says "Sara" but on the website it says "Sarah." Either way you spell it, it takes a very special red to capture my attention. I buy reds but never wear them. So the fact that this one actually made it on my tips means it's something special! 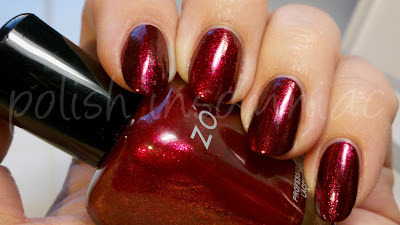 Zoya describes the as "pearls of dark fuchsia, red-violet and ruby tones in a bright sparkle finish. 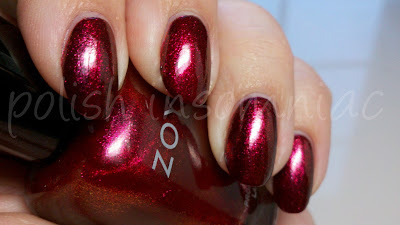 A very rich and different shade of cool red sparkle that will stand out in a crowd." I could not agree with them more! I love cool jewel tone colors, and this one definitely fits the bill. Sara(h) is part of the Flame Collection. It was originally called the Fire and Ice Collection, but as Revlon has that name copyrighted (not to mention they actually brought back the F&I Collection this year!) Zoya quickly changed the name to the Flame Collection. I won the entire collection from KarlaSugar, so THANK YOU KARLA!